Bri Lindsey is excited to return as Shawnee's Producing Artistic Director. 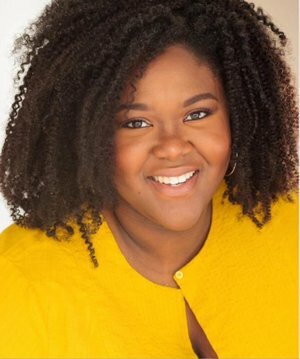 A White River Valley Graduate, Bri earned her Bachelor's of Science in Theatre at Indiana State University in 2005, and her Master's of Fine Arts (MFA) in Acting from Regent University in 2016. Lindsey was last seen last summer as Rosemary in Outside Mullingar. She has acted in theatre, TV and film, and choreographed before returning to Indiana. In the off season she teaches theatre at Bishop Chatard High School. Bretteney Beverly hails from the great state of Texas. She received B.A. degrees in Music and Psychology from Tougaloo College in 2012 and her Master of Fine Arts (MFA) in Acting from Regent University in 2016. Favorite theatre credits include A Streetcar Named Desire, 'Night Mother, Grease, Bloody Bloody Andrew Jackson, Crowns, An Octoroon, Pride & Prejudice, Flyin' West, Sweeney Todd: The Demon Barber of Fleet Street, Bus Stop, Big River, Macbeth, South Pacific and She Stoops to Conquer. Favorite directing credits include For Colored Girls Who Have Considered Suicide When The Rainbow is Enuf, R & J, Crimes of the Heart, and Always… Patsy Cline. In her off time, she enjoys spending time with family, friends and her adorable pit bull, Boss Lady. Thanks for coming to Shawnee & enjoy the show! Jacob deCastro is a sophomore at Indiana University studying journalism, while also pursuing a certificate in management. He is from Indianapolis and has previously worked as a marketing intern here, the design chief and special publications editor at the Indiana Daily Student newspaper and as a communications intern for the Indiana State Department of Agriculture. deCastro would like to thank his friends, family and, most importantly, his mom and dad for all their support.